Chrysococcyx russatus. 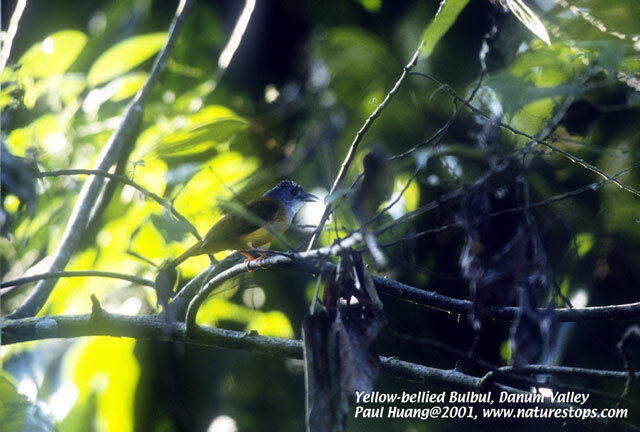 There has been little record of this cuckoo for Borneo. 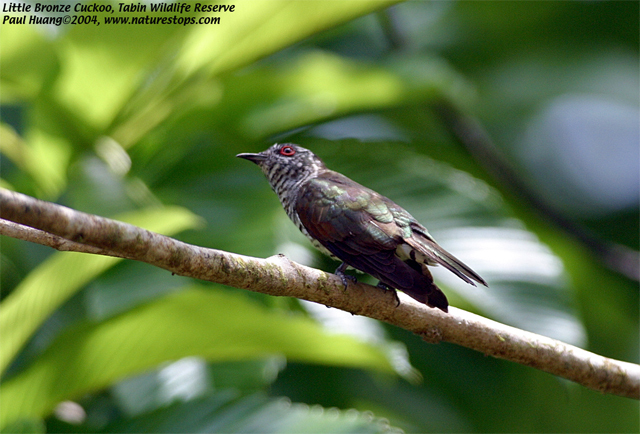 The distiguishing marks according to The Field Guide to the Birds of Borneo, Sumatra, Java and Bali by McKinnon and Philips is the greenish, washed rufuos outer web of the tail, not black and white as in the Little Bronze-Cuckoo. The inner web has black and white bands but proximal portions of white compartments are rufous. These are clearly seen in the photo. This was photographed on the Tabin Forest Lodge grounds at the roundabout at around noon time on the 8th June 2004. Latest update: Looks like my ID is wrong. I have got confirmation from Bob Payne, a leading cuckko expert that this is the Little Bronze Cuckoo (c.m. Peninsularis).